Build in 1966 and known worldwide, the Bugatti Circuit is a permanent racetrack located in the south of Le Mans in France (only 55 minutes from Paris and 1h30 from Roissy CDG Airport by train). 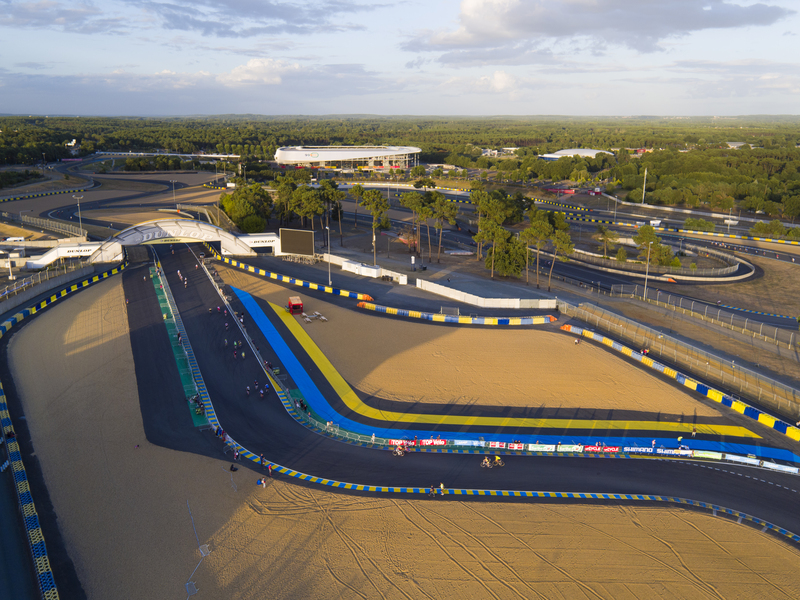 Various motor-sport races take place there, amongst which, the most famous: “the 24 Hours of Le Mans”, but also the 24 Hours Motorbike or 24 Hours for Trucks, the Motorbike French Grand Prix, the 24 Hours rollers and finally the Shimano 24 Hours Cycling of Le Mans. The track is entirely closed and lit at night during competitions. It benefits from an incomparable covering and great corners. To all appearances the circuit is flat, at least that is what you think when you see the 24 Hours of Le Mans Prototypes tearing down the track but believe us the famous Dunlop uphill will tire you as the clock is ticking.